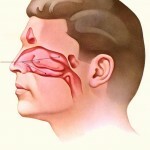 Home » General Articles » Is your Snoring Due to a Deviated Septum? Snoring is a medical condition where due to any obstruction in the air passageway as the respiratory system works, vibrations will be produced, these vibrations are the snores that you hear. Is your Deviated Septum giving your loved ones trouble sleeping? Snoring can be caused due to any kind of obstruction, a deviated septum if very severe, will act as an obstruction to the smooth passage of air through your nose. This can cause your snoring. How does a Deviated Septum cause Snoring? 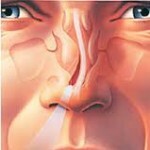 Ideally your nasal septum should be placed centrally and it should separate your nostrils into two equal halves, if you suffer some sort of trauma to your nose the septum may become deviated, while the septum of most people is slightly deviated it will not cause any problems only severe deviation will cause trouble. If your septum is deviated in one side or on both sides, as the air passes through your nostrils, it will meet resistance from the deviated septum; this will cause the vibrations or snores that you hear. If your nose is severely congested for prolonged periods of time, you may force yourself to breathe through your mouth. If this becomes a habit and you even breathe through your mouth while you sleep, it may result in snoring. 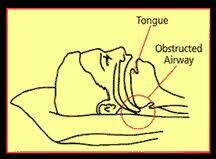 Why will Mouth Breathing Cause Snoring? If you breathe through your mouth due to a deviated septum, the air will pass directly into your uvula and soft palate. This results in vibrations or snoring. While many temporary cures for the condition exist, the only permanent cure for a deviated septum is septoplasty which is a surgical procedure. In the surgery, the surgeon will cut of the deviated part of the septum and remodel the nose to allow for easy and un-obstructed breathing. The surgery requires general anaesthesia and you will require two weeks to recover from it and return to work. Additionally your nose will be inflamed and swollen for a month.